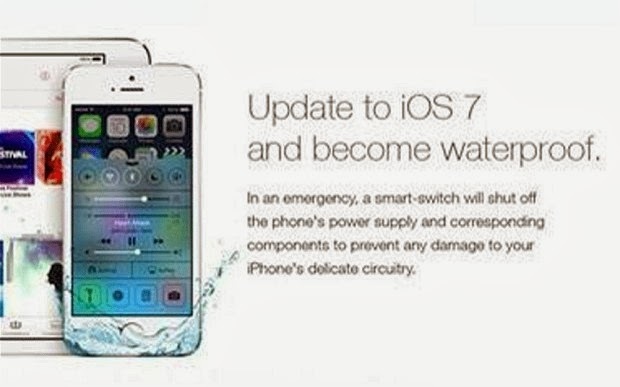 A fake advert claiming Apple's new iOS 7 software makes iPhones and iPads waterproof is reported to have duped some users into breaking their devices by submerging them in water. The advert appeared on social networks, including Facebook and Twitter, earlier this week and is rumoured to have originated from online forum 4Chan. The advert shows an iPad and an iPhone 5S covered in water droplets, with the tagline: 'a smart-switch will shut off the phone's power supply and corresponding components to prevent and damage to your iPhone's delicate circuitry'. The advert is said to look so much like an official Apple ad, some users have apparently trialled the feature and ultimately destroyed their handsets by getting them wet - invalidating their warranties. Other tweeters, such as Queen V said: 'Are people so gullible? ', while Andy Porter slammed anyone who was duped as 'idiots'. Apple's iOS 7 software was released to iPhone users last Wednesday as a free upgrade. The new iPhone 5S and 5C handsets also come with iOS 7 pre-installed. 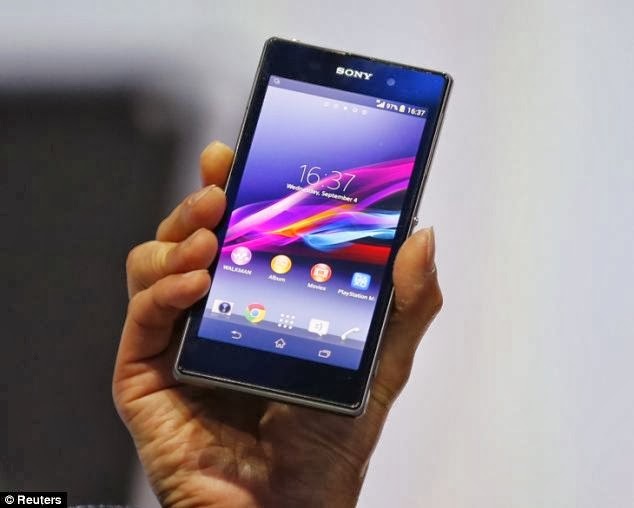 There are a number of waterproof handsets on the market, including Sony's new Xperia Z1, Samsung's Galaxy S4 Active and Motorola Defy, however, Apple's handsets are not. Many warranty policies do not cover water damage, even if its accidental. Just two days after Apple's iPhone 5S handset went on sale, hackers found a way to bypass the new fingerprint sensor. They used a high-resolution photo of a fingerprint to create a laser-printed copy. Wood glue was then poured onto the copy and, once dried, was peeled off and pressed onto the phone's TouchID sensor. The hackers were from German-based group Chaos Computer Club.